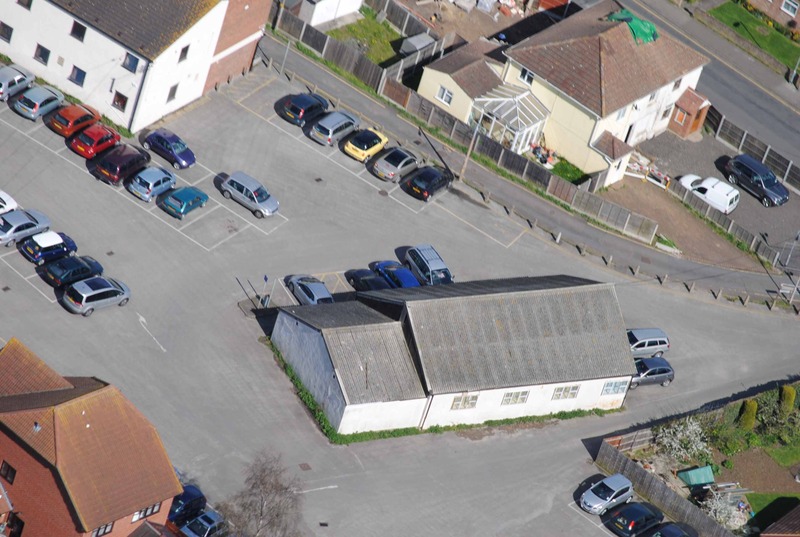 The top picture is the April 2011 view of the car park. At the top are offices, about where James Murrell’s cottage and back garden were located in the 19th century. From right to left near the bottom of the picture, the British Legion Hall was described early in 2011 as unsuitable for use, but it had long been a great asset for many people. Its uses ranged from polling station to wedding receptions and the Hadleigh Gardening Association met here for many years to hear excellent presentations. What events do you remember at the British Legion Hall? 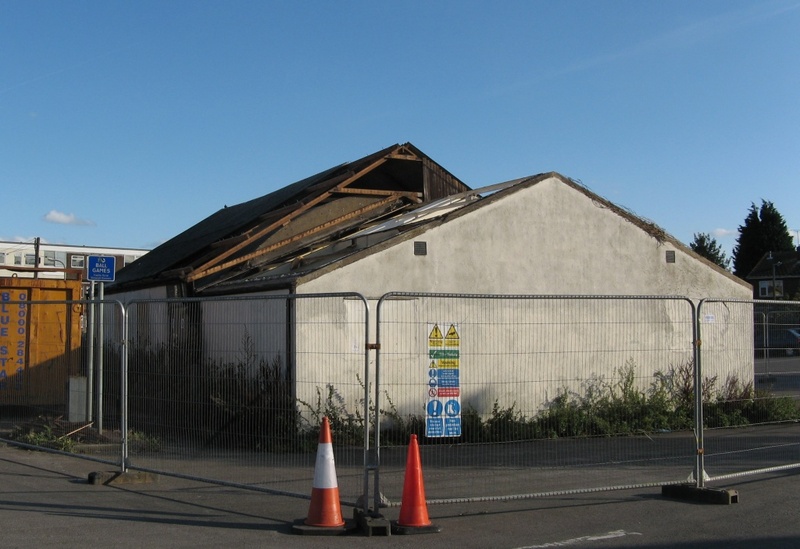 The lower picture shows an early stage in the demolition of the Hall, with the outline of an internal Nissen Hut-like structure visible. The Blood Transfusion Service used to use the hall for collecting from blood donors. And the Cats’ Protection League used to hold jumbles sales on a Saturday. I used to live in an old chalet bungalow (to the south of the hall) which was bulldozed down to enlarge the carpark back in 1968. Before me, the Newman family lived there. Hadleigh and Thundersley British Legion members meetings once a month.